To become accomplished problem solvers, students must seek out resources and books not available in a standard curriculum. 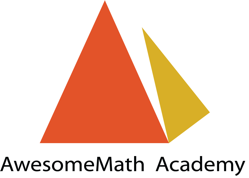 AwesomeMath Academy, founded by Dr. Titu Andreescu, is one such resource. This local enrichment center provides students with access to world renowned mathematicians, like-minded peers, and a high engagement curriculum. To learn more, visit awesomemathacademy.org. We have also created an Amazon list to conveniently find books by Dr. Andreescu and some of our other speakers.